Huntington Middle: Latest News - "Hawks Read" April - Get Involved Today! "Hawks Read" April - Get Involved Today! "Hawks Read" is a program designed to get you as parents involved with your child's reading. Our goal is to improve the reading ability of our students and to raise their Lexile scores. Many of you who attended our Lexile Night made pledges of things you could start doing to help your child become a better reader. As we introduce a new theme each month, please continue to read with your child and document your reading with pictures so we can share in your success. We are challenging you to take a picture of your child reading and share with us. 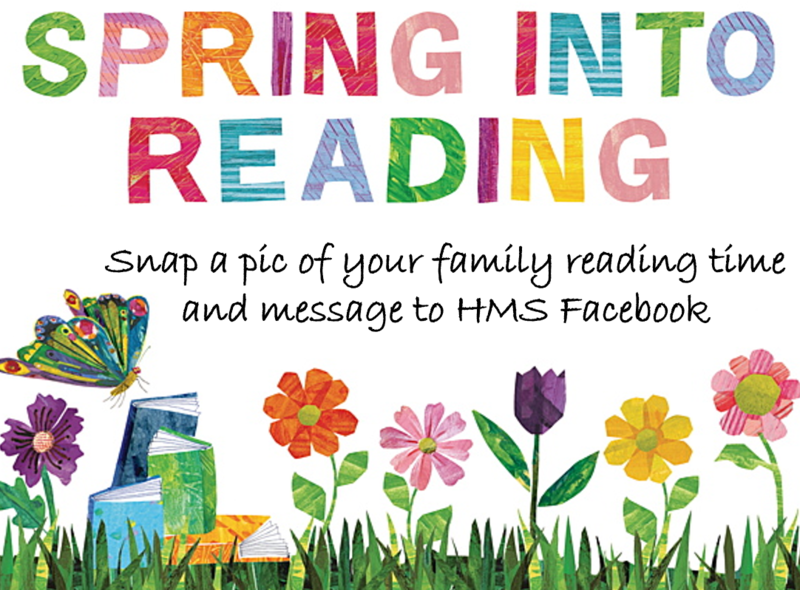 Send a pic to our Huntington FB page using the MESSAGES feature and we'll add the picture to our "Caught Reading" photo album. The theme for April is "Get Caught Reading this Spring". Take a picture of you and your family reading what you love to read: cookbooks, magazines, comics, internet, anything! Can't wait to see them!